Recently, the Gmail team provided an improved bounce message for when an email fails. Instead of some complicated code-like response, the team has made the message much more user friendly. 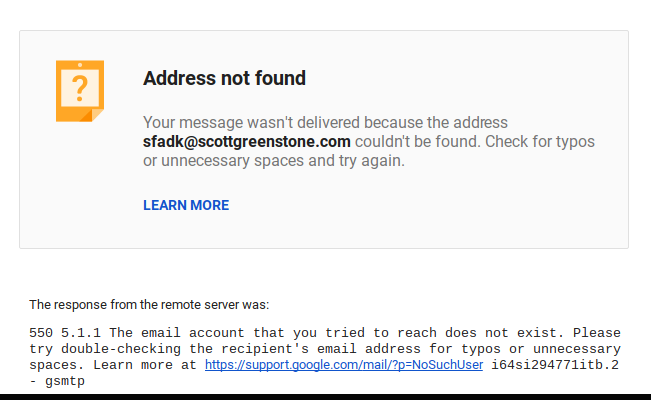 Now the message you receive is very clear that the address was not found. It still does provide some of the technical jargon as to server response and other details. In addition, you are offered a link to learn more about this issue. 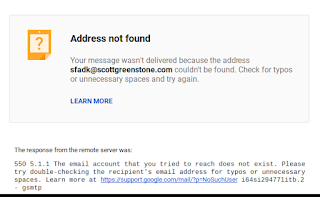 The link brings you to the Gmail Help Center article about this error. I find this message to be much easier for the end users and should result in a lot more questions answered without the need to go to the help forums.